Demand for the company's latest flagship model, HTC U11, already peaked in July, causing shipments to decline sharply in August, according to market sources. However, HTC stated that the monthly performance alone could hardly represent the ongoing quarterly trend, but it did not elaborate further. HTC's statement indicated that the company is still positive about its overall smartphone shipments for the third quarter of 2017. Market sources said the vendor is likely to begin shipping the next-generation Pixel smartphones to Google in September. 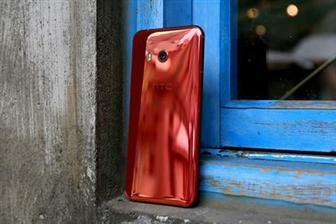 HTC's cumulative sales for the first eight months of 2017 totaled NT$39.86 billion, decreasing 14.4% from a year earlier. Meanwhile, HTC reportedly has entered the final stage of negotiation with Google for selling its smartphone business unit to the Internet service operator, according a Chinese-language Commercial Times report. Google is currently considering options of either becoming a strategic partner or buying out HTC's smartphone business, said the report, which added that the possible deal will not involve HTC's Vive VR business or the entire company.